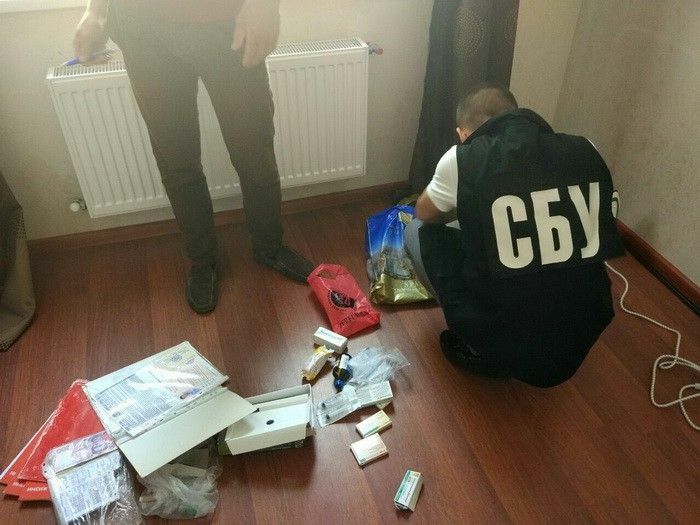 The SBU Security Service of Ukraine has detained an advocate of a fake Kyiv People's Republic, the SBU press center said. The man posted an electronic announcement on public PCs at a social establishment in Kyiv, urging the creation of a self-proclaimed republic. Read alsoSBU stops foreign trade activities of 243 Russian companies doing business with Ukraine, militantsDuring a search of his house, security service officers found emails on his PC sent by other individuals from temporarily occupied areas, with design layouts of separatism-promoting leaflets. The law enforcers also seized materials urging a "people's referendum" be held on the creation of the so-called "Kyiv People's Republic." As part of a pretrial investigation, SBU officers are checking the suspect's acquaintances. The man, who is a former employee of a Kyiv-based municipal establishment, is charged under Part 2 of Article 110 of the Criminal Code of Ukraine (attempt to violate the territorial integrity and inviolability of Ukraine).